Number 1. 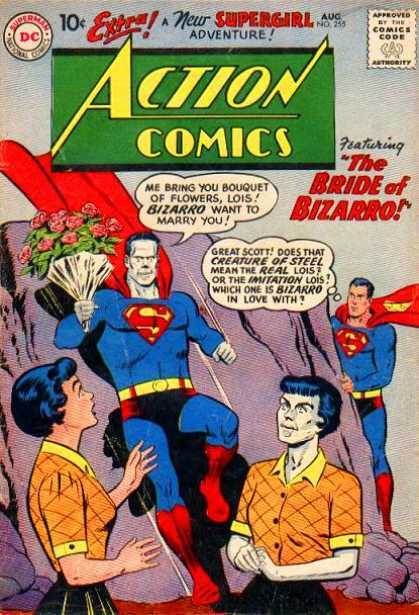 Bizarro is the "inverted" evil version of Superman. 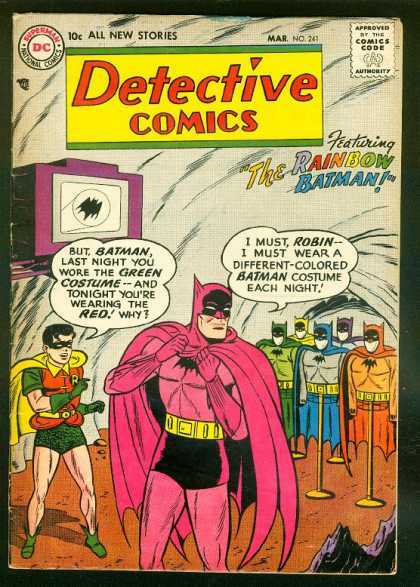 But you have to be a real comic book buff to know that there's a Bizarro Lois, too. 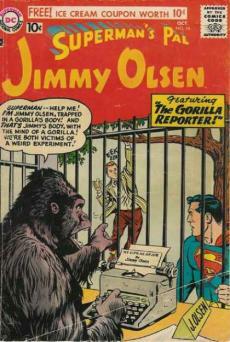 The cover leaves open which Lois Bizarro is in love with -- the real or the inverted one. Great Scott! Number 2. 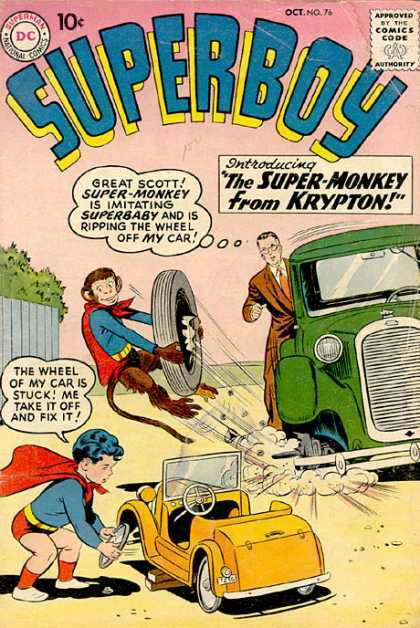 What's weirder than having Superbaby on the front cover? 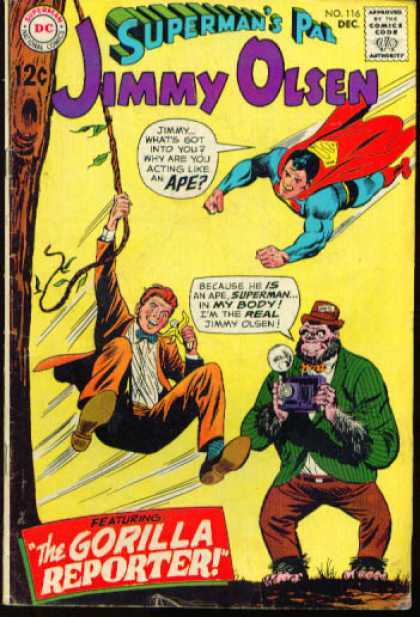 Well, having Super-Monkey next to him, of course. Number 4. 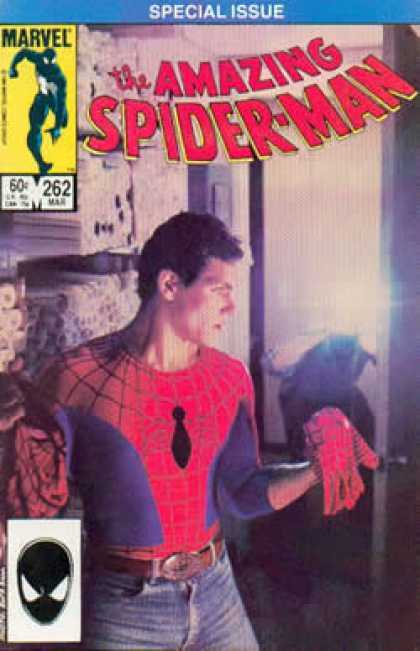 I don't know what you think about photo covers on comic books, but my instinct tells me the world just doesn't need them. Number 5. 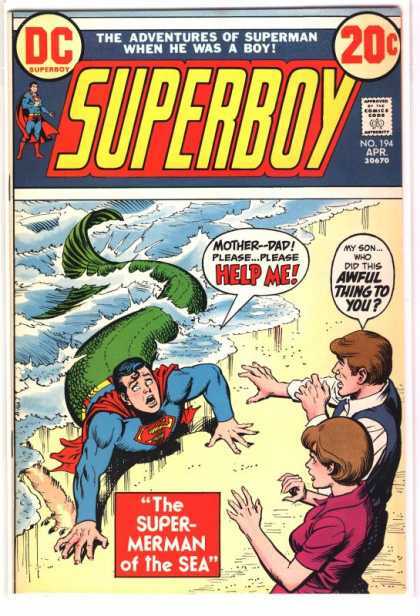 A classic coming of age story: Superboy turns into Super-Merman. Number 7. 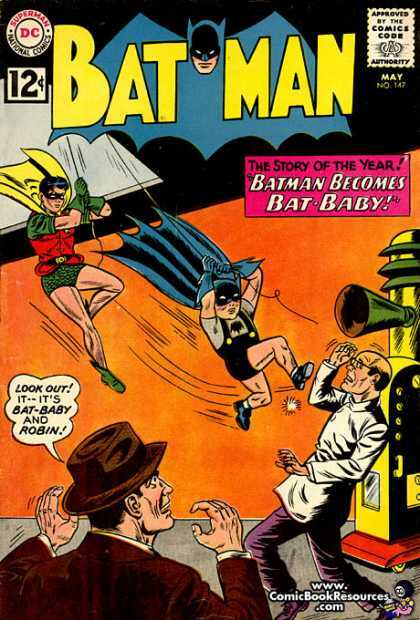 I don't particularly mind a Bat-Baby, but why on earth is he wearing Lederhosen?! Number 8. 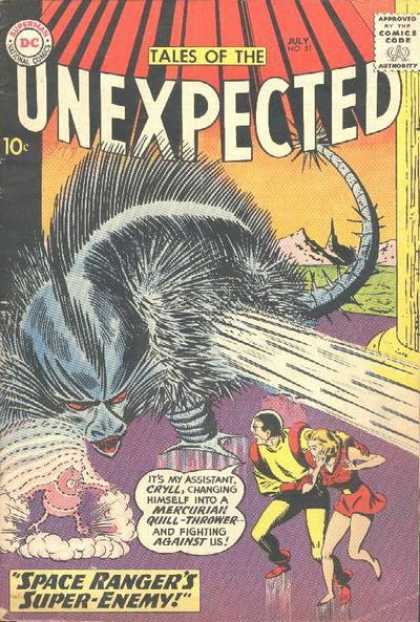 When your assistant Cryll changes himself into a Mercurian Quill-Thrower to fight against you, it's just one of those days where you wish you would've stayed in bed. Number 9. 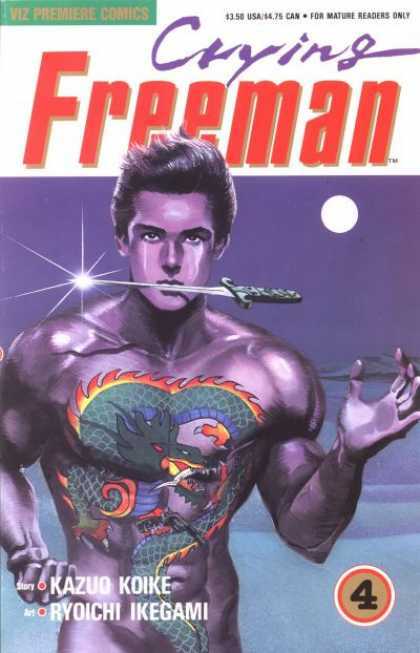 He's naked, tattooed & crying, and the knife in his mouth reflects the full moon... see, being a hitman is all about blending in with the crowd. Number 10. 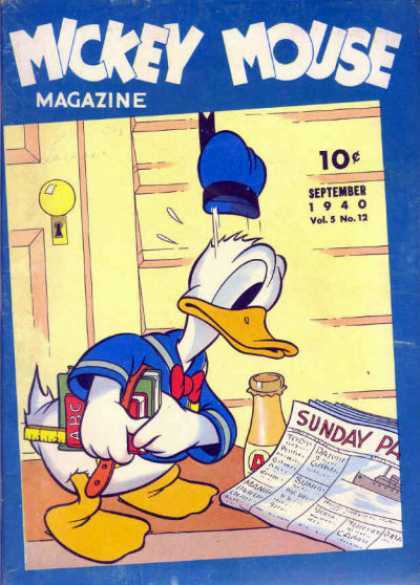 Two reasons not to go to school today, Donald Duck: it's Sunday, and you're an adult, fer chrissake.